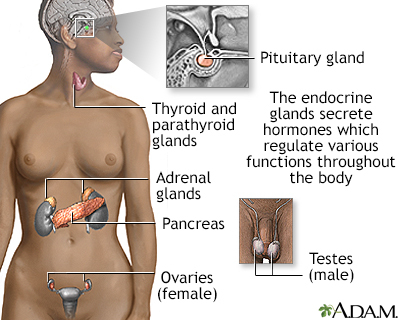 The pituitary, a small gland at the bottom of the brain, releases a hormone called ACTH that is important in stimulating the adrenal cortex. 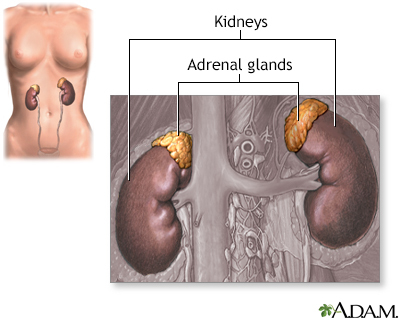 The adrenal glands are endocrine glands which are located immediately on top of the kidneys. During an adrenal biopsy, a small sample of tissue is removed and sent to the pathologist for testing. 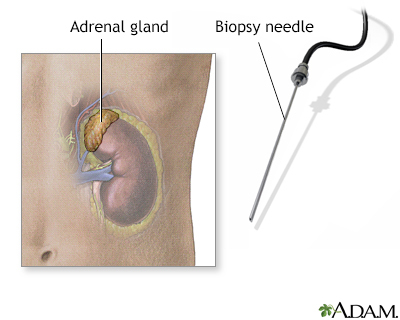 The biopsy can be performed when a suspicious mass or tumor is found on one or both of the adrenal glands.